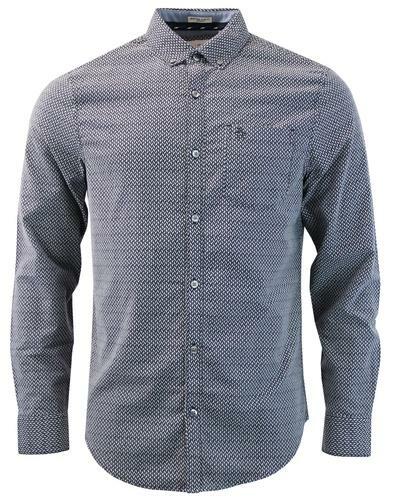 Pretty Green 'Patricroft' men's retro leaf print penny collar shirt in vintage blue. Crafted from fine poplin cotton fabric this floral print shirt has a premium feel. The classic round penny collar injects a refined and distinctive 60s mod vibe. The all over retro maple leaf floral print is the ultimate autumnal design. 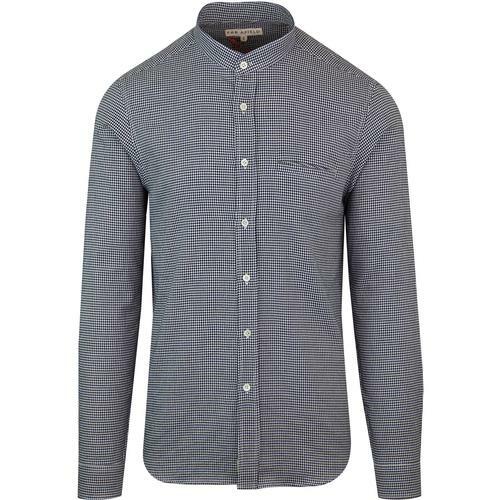 Contrast corozo buttons to placket and cuffs finish this shirt with a touch of vintage flair. 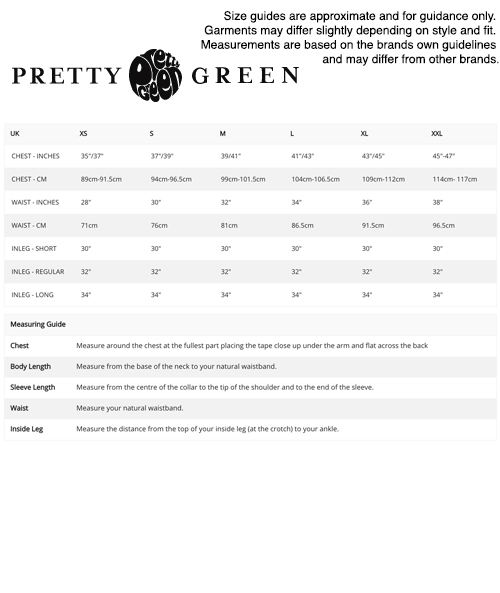 A truly unique Pretty Green retro penny collar shirt that is packed with mod style and panache. 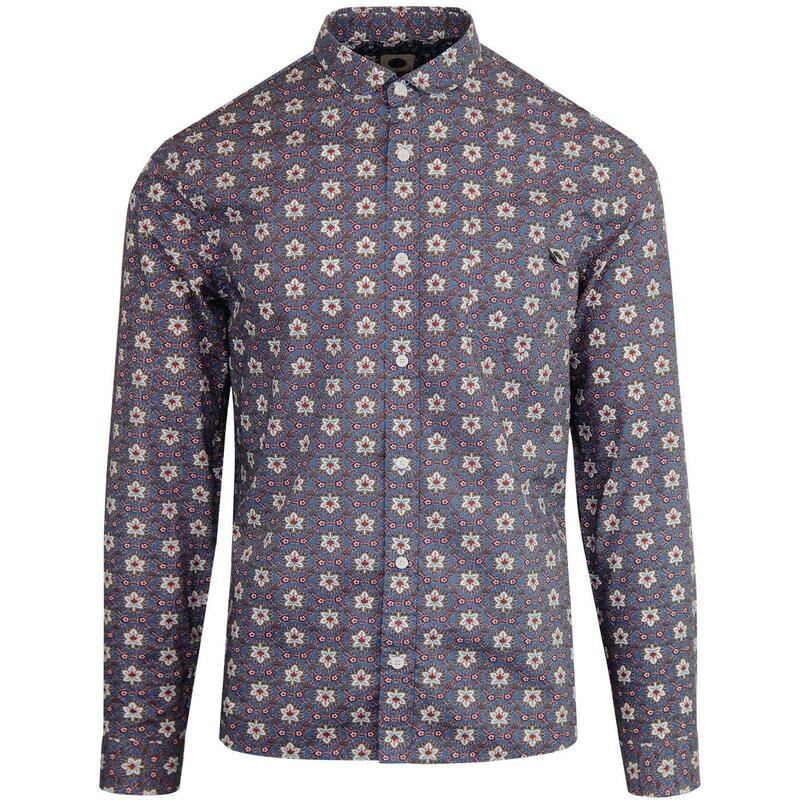 Pretty Green Patricroft' leaf print mod penny collar shirt in Blue. All over retro maple leaf print. Signature corozo buttons to placket and cuffs. Long sleeve with single button cuffs. Patch chest pocket with branded tab. 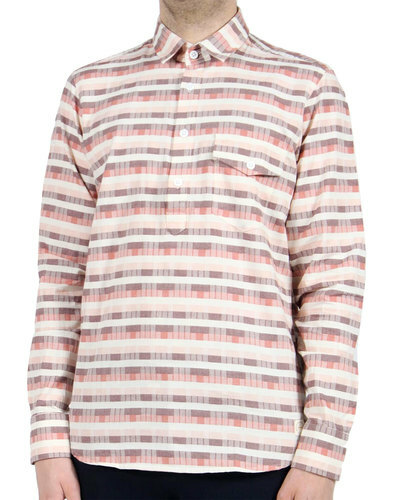 SKU: A8GMU55549889 Leaf Print Penny Collar Shirt.